Hey! 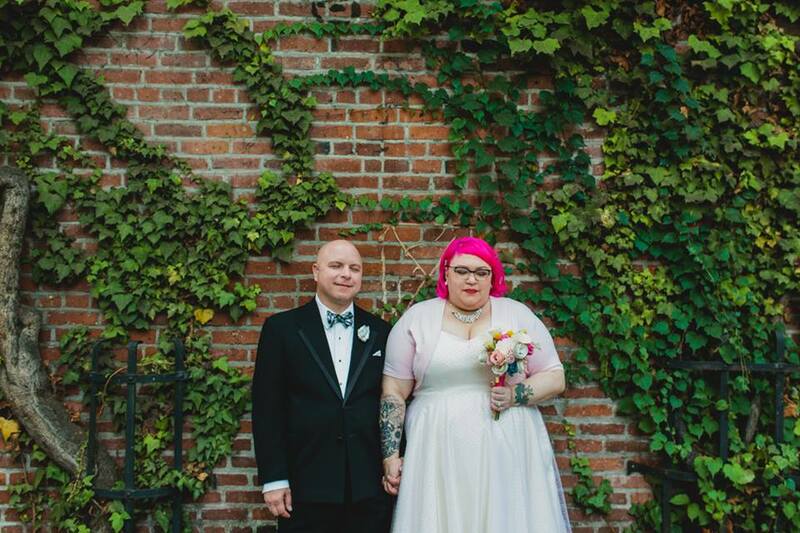 Welcome to our blog, Fake Meat & True Love (we hope you think the name is on the right side of the cute/nauseating line)! 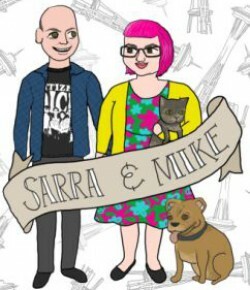 We are Mike and Sarra, a couple of vegans from Seattle who are head-over-heels in love – with each other, with food, with cooking, with our old-lady pit bull and fussy tortoiseshell cat, with farmers markets and social justice and all animals and, yes, fake meat. We’re trying our best to make the world a better place, and ethical, intersectional veganism is the best way we know how to do that. We know that veganism is not a diet but an ethical stance, but we also know that food is a big deal – it’s what most people think of when they think of veganism, it’s one of our earliest and most primary pleasures, it’s necessary for life, and it’s fun. We were both very passionate about food before we got together, and that passion has expanded and deepened along with our relationship. We’ve been sharing our food photos with our friends for a couple of years now, and we’ve been talking about starting this blog for ages; finally, here we are. We’re sure we don’t have to tell you the “why” behind another vegan blog: vegan food is better for animals, better for the planet, better for humans, and, frankly, delicious. It is our sincere hope that by providing a glimpse into the life of the glorious food (and love!) that we share, we can simultaneously encourage people to think about more just and ethical choices, as well as join all our fellow vegans in demonstrating how exquisite and rewarding a cruelty-free life can be. We love being in vegan communities! Plus, hey, sometimes there will be dog and cat pictures, and who doesn’t want more of those?